Is there anywhere more romantic than Paris? It's a city where you want to embrace the clichés and roll with them. Strolling the streets, hand-in-hand? Yes! Taking a sunset boat ride down the Seine? Mais oui! Trying to keep the kids from hurling frites at each other at the quaint outdoor café? Not so much. Go now and get all the nuzzling under the Eiffel Tower out of your system. Bring your future children back in a few years to see the amazing museums and historic sites—once they are out of their food-throwing phase, that is. 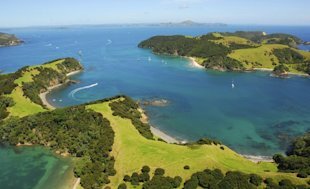 The spectacular natural wonders and cool towns of New Zealand should be at the top of your pre-kids bucket list. Especially since they are a 13-hour flight away—and that's if you are coming from the West Coast (not to mention those flights typically cost more than $1,000 per person). Long haul flights are hard on everyone, and it will likely take kids longer to adjust to such a significant time change, cutting into your actual vacation time. Plus hopping between the North and South Island is mandatory if you want to see all the country has to offer. Do you really want to spend half your vacation repacking all the suitcases and searching under hotel beds for a lost lovey (or worse, realizing it's missing once you're at the next stop)? Think the magical realm of Mickey and Minnie is just for kids? Think again. 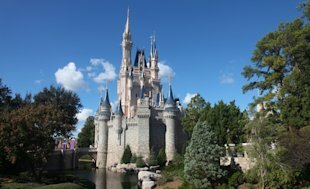 Going to Disney as an adult is a totally different experience than if you have toddlers (or even teens) along for the adventure. Some are obvious—not being relegated to the kiddie rides, not having to push a stroller around. Then there's the not having to go back to the hotel for nap and not having to decide between getting the kids dinner, bath, and into bed on time (and avoiding potential meltdowns) versus staying late for the awesome Main Street Electrical Light Parade. Disney has also caught on that they need to keep adults happy, too. That means things like gourmet restaurants. You can now even get a glass of wine with your dinner at Be Our Guest in the new Fantasyland section of the Magic Kingdom. 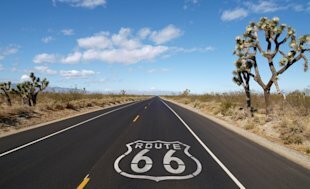 There are lots of great scenic road trips in the U.S. (California's Route 1, the Blue Ridge Parkway), but why not go back to the original and travel along Route 66. Well, what's left of it (see below). Road trips may not scream romance for some, but there won't be much time after kids to really just enjoy each other's company—and control what's coming out of the car speakers. This also means no kids rolling their eyes at every retro diner you want to stop at for a patty melt and a milkshake. And, most importantly, no chorus of "are we there yet??" 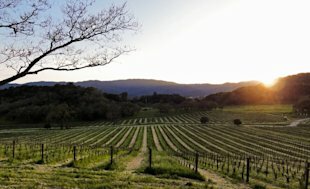 Quick—why do people go to Napa? The wineries, of course. And there are more than 400 of them. That means days filled with sampling the Chardonnay, Pinot Noir, and Merlot. Which doesn't exactly scream "kid-friendly." Those tastings are best accompanied with the other local bounty. Munch on artisanal treats from Oxbow Public Market during the day, then have dinner at Thomas Keller's Bouchon Bistro. It's not French Laundry, of course, but entrees start around $20. In general, trips to destinations where casinos are a big part of the draw are hard with kids (since this is an 18-and-up activity done in smoky surroundings, after all). Chances are there will be a chance for a guys' weekend or a girlfriend getaway to Vegas in the future. 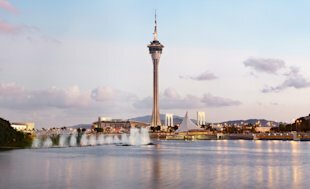 So why not go for it and try your luck in Macao? This former Portuguese colony is about 40 miles from Hong Kong and has grown to be one of the top gambling destinations in the world (a cameo in the latest Bond flick helped raise its profile, as well). The world's most sacred temples are meant for quiet contemplation and obviously should be treated with the utmost respect. Something that even the most angelic children might find difficult. Which is why now is the time to take a journey to Angkor Wat, outside Siem Reap in northern Cambodia. 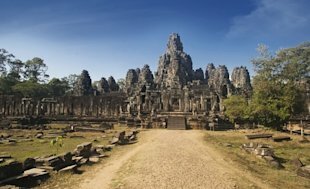 The complex spreads over a stunning 494,000 acres with archaeological relics dating back to the 9th century and iconic Cambodian Khmer architecture. You will want to give yourself three days to see the complex, and keep in mind that heat and humidity will keep your days short. 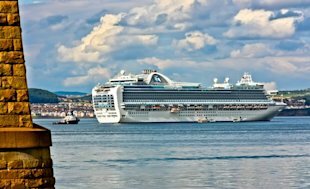 Cruises usually make the top of lists for family travel. But a transatlantic cruise is different. They are usually more than a couple weeks in length, and involve many days and nights at sea. While to you that means more time to lay by the pool and do absolutely nothing more strenuous than ordering a cocktail, the kids could get a little stir crazy (no matter how awesome the kids' club is). The shore excursions are obviously minimal with these cruises as well, of course, but they often stop at lesser-used ports, adding to the adventure.